2018 is here and Shelby SA are looking forward to an exciting new year. 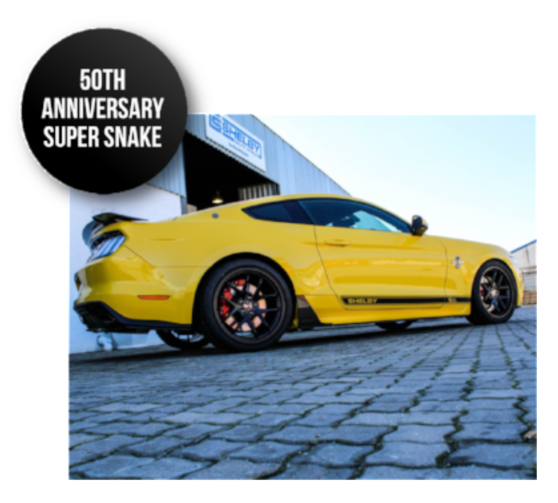 In 2017, Shelby delivered supercar motoring experiences in the exciting 50th Anniversary Super Snakes, with both 500 and 560Kw supercharged motors, added to the existing Shelby GTE and GTE Plus. Shelby SA has an agreement with FMCSA, whereby those Mustangs that are converted by Shelby SA carry their Ford Service Plans as well as their FMCSA warranty. Except on the drivetrain, where an Innovation Group 60000kms/3 year warranty is provided by Shelby SA, for owners peace of mind. Shelby SA also stock performance enhancing components, such as high performance stainless steel Shelby Borla cat-back exhaust systems and Shelby Venice wheels. Individual Shelby body components are also available to Ford dealers for their discerning Mustang customers. All Shelby’s can be serviced by Ford dealers who have a level 3 technician.